While venturing overseas with your best friends might seem more appealing as compared to going on a family vacation, it’s undeniable that being on holiday with the parents does have its perks. Ahead, 11 millennials share their innermost thoughts on heading abroad with the fam. Whether it’s skiing down snowcapped mountains in Sweden or lazily lounging on the beaches of Bali, documenting your experiences via Instagram is definitely a given. But what do you do during those fab outfit days where #OOTDs are a given and there aren’t any IG-savvy friends in sight? You turn to your parental units (as you always do) and give ’em a crash course in photo-taking of course! Here’s a thought: after you’ve gotten that Insta-worthy shot, remember to return the favour by snapping some solid shots for your parents too. Ran out of battery and didn’t bring a portable charger? Fresh out of napkins after spilling gelato on your brand new outfit? Forgot your sunscreen? Chances are your parents will be prepped with everything you could possibly need (way before you knew you needed it), and have it ready at your disposal – because they’re awesome and all-knowing like that. Pro tip: Wow your parents even further by searching up flight and hotel discounts easily on Expedia! We’d be lying if this thought didn’t make it onto the list – one perk that comes with travelling with your parents would be that they’d settle every and any trip expense. From airfare to hotels, food to shopping, chances are they’d spare nothing to ensure the family has a fun and memorable time. With that being said, don’t forget to show appreciation for their generosity. Perhaps you could chip in for a family meal, or at the very least, drop them a heartfelt note thanking them for bringing the fam on holiday. Alternatively, if you’re on a long vacation away, try mailing your parents a cool postcard so they’ll receive it by the time you guys arrive back home. Isn’t it funny how most of our fears are instantly quelled when our parents show up? Whether it’s battling unwelcome insects, dodging potential tourist scammers or trying to stop getting freaked out over spooky hotel room vibes, there’s nothing like having your parents around to make you feel totally secure. Heading on vacation with your friends is one thing, but pulling off a successful trip is another. And let’s be honest here; planning a holiday with your crew might even feel uncannily like doing project work – where anyone who doesn’t contribute might be branded a ‘freeloader’. With that being said, yet another good point of going overseas with your parents would be the high chance of you being able to wriggle your way out of mundane tasks like planning the itinerary or booking the accommodations. Pro tip: Do your part for your family trip by sourcing out the cheapest flight and hotel booking on Expedia! Package savings can come up to almost 80% for certain destinations, and the travel site recommends fun activities and events in your area of interest in case you have spare time on your trip. One thing that comes with holidaying with your fam is the utter ease and comfort that comes with being around loved ones who’ve known you your entire life. And there won’t be any awkward or embarrassing moments; whether it’s having to hog the toilet after getting overly adventurous with street food, or even getting into mini arguments about which touristy spot to spend the afternoon. Family’s for life and you’re ‘stuck’ with each other either way, so there’s definitely no need to feel paiseh. While bargaining isn’t for everyone, haggling pretty much comes with the territory of cheap shopping, and there’s no doubt that scoring discounted prices will give you more leeway with regards to your travel funds. Guess what? Expedia is giving away a dream family staycation (worth up to S$3,000)! Click here to find out more details. Here Are All The Buzzing Events You Can Attend This November! We’re swinging in the limbo between Halloween’s aftermath and the frenetic buildup towards Christmas, but fret not ’cause there’s no lack of things to do this November! Guess who’s coming to town? We’ve got a new K-drama heartthrob to fall in love with, and it’s none other than Park Seo Jun. Best known for his swoon-worthy roles in Fight For My Way, Hwarang and She Was Pretty, get ready to be swept away by the actor’s charming antics come November. Leave it to the Hungarians to turn our everyday drama into a work of art. 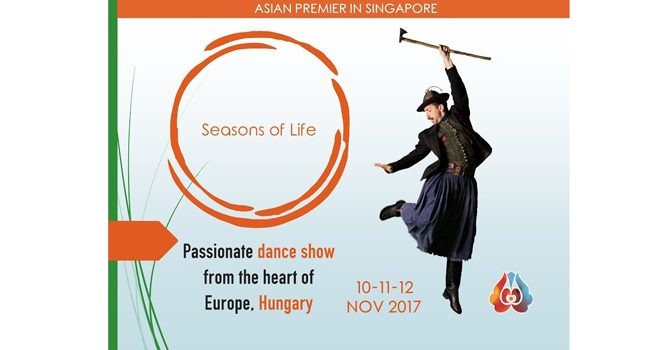 Encapsulating the ups and downs of life with their traditional folklore dance, watch the four seasons unfold in this captivating two-hour performance. Shawols and Reveluvs are in for another treat this November! 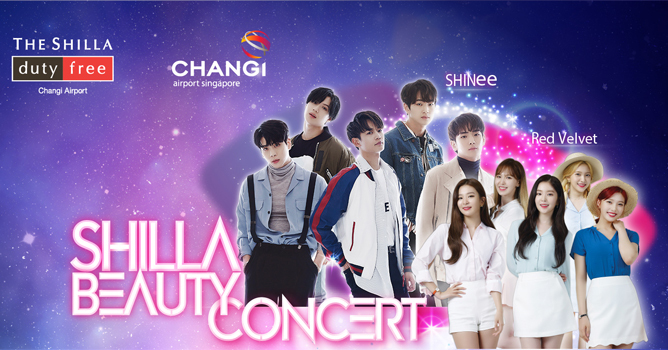 Just three months after performing at Music Bank in Singapore, K-pop darlings SHINee and Red Velvet will be back for a one-night only concert to celebrate the launch of the new Shilla Duty Free store at Changi Airport T4. Spend $500 worth of beauty products at the stores or iShopChangi.com to score a pair of tickets. Otakus unite! 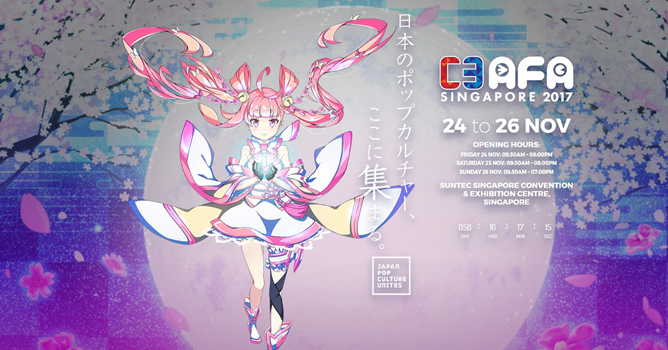 The anime fest is back for its 10th edition to quell your J-obsession, bringing onboard an extensive three-day lineup of Anisong powerhouses including FLOW, ClariS and May’n. While singing your hearts out to the Naruto theme song, don’t forget to get your hands on the exclusive merchandise flown in straight from the land of the rising sun! Who needs boyish good looks, slick choreography and coordinated outfits when your music alone speaks volumes? 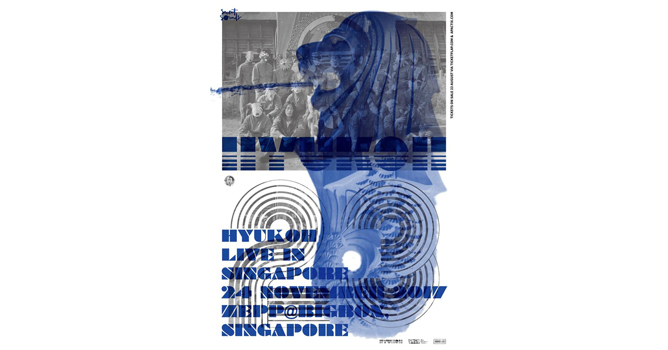 Dubbed as the ‘band of the new generation’, indie quartet HYUKOH will be bringing their unique brand of shoegaze meets soft-rock to our shores. Expect an eargasmic night filled with soulful acoustics and smooth guitar licks. 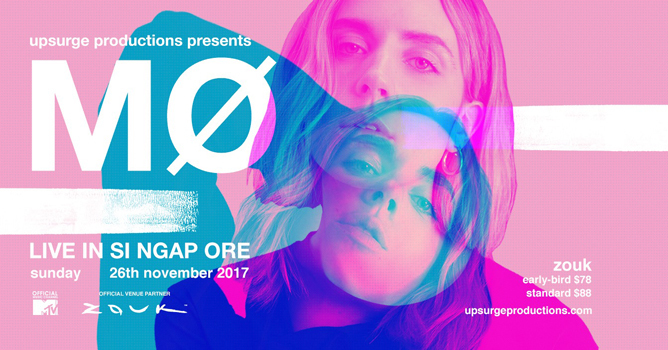 Danish pop sensation MØ will be bringing her electric live show to Singapore for the first time. Besides her memorable chart-topping collabs such as ‘Lean On’ and ‘Cold Water’, get ready to be enthralled by her own brand of electro-pop hits from her upcoming album. What will you be getting up to this November? Tell us in the comment section! More related stories: Eat For A Good Cause At These 7 Local Eateries, 10 Movies To Watch This November!, Great News, Ed Sheeran’s Show In Singapore Will Go On As Scheduled! This New Generation Workout Uses Your Favourite K-pop Moves! Want to achieve your K-pop bias’ toned physiques without the crazy diet fads that come along with it? That’s where KpopX Fitness comes in. We speak to Maddy Lim, the gorgeous brains behind the new generation workout that combines MV routines for a high intensity exercise! With experience accumulated over 8 sportswoman awards, Maddy saw the calorie-burning potential in the Korean music her friends were so crazy about. Both brain and brawn behind KpopX Fitness, she manages the business and designs the routines. A typical KpopX Fitness class goes through a few choreographies accompanied by Kpop tunes. And even though every piece burns and tones the flab, fun remains as the top priority so you won’t be repeating the same old box step or foxtrot in the name of exercise! To come up with her routines, Maddy watches the music videos on repeat so that her choreography would accurately capture the song’s unique swagger and signature moves. Unlike other aerobic exercises, KpopX Fitness runs on mainly 130 beats per minute (BPM) which is 20 counts slower than the usual 150BPM. The choreography is also catered to dance rookies, so don’t let that missing groovy bone hold you back from hitting the dance floor – according to Maddy, even the most green of beginners would be nailing the moves by the fourth lesson! 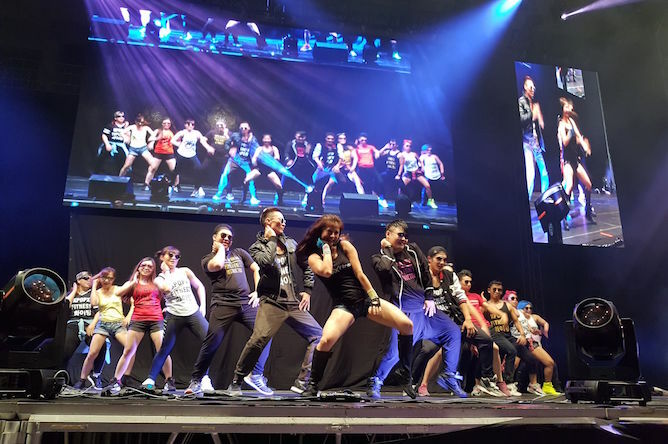 And don’t expect only female K-pop fans showing up, because KpopX Fitness draws in attendees of all ages and genders. When we asked about the music we can expect in each class, Maddy claims no bias even though she professes her love for BlackPink’s style and tunes – who doesn’t love the catchy beat of ‘Boombayah’? And while fast-paced K-pop ear worms would be the prime pick for a high intensity aerobic workout, but Maddy still challenges herself with any chart topper, including the ballads. Sweating it out to the beat of ‘Blood Sweat Tears’ by BTS and warming up to the sweet melody of Beautiful by Crush? Sign us up please! 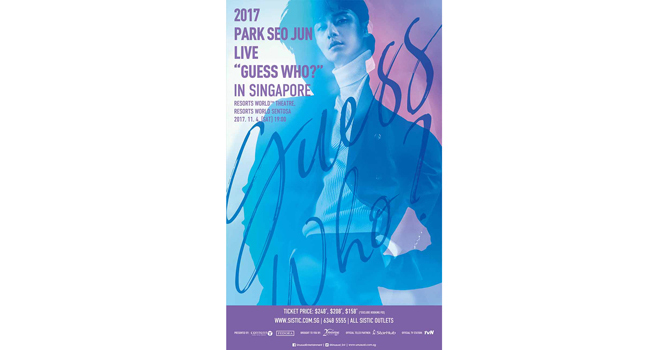 For 3 years running, KpopX Fitness has been involved with Got To Move Singapore 2017. They’ve certainly made a name locally and Maddy says she plans to host a KpopX Fitness Concert one day! You can sign up for their classes here! From haunted houses to frights for the whole family, here’s 10 Halloween events to check out in the coming months to get into the black and orange spirit! Now into its seventh edition, the annual horror fest at Universal Studio Singapore boasts 5 haunted houses, 2 scare zones and an all-new zombie laser-tag experience – all linked around a common theme of the ‘seven deadly sins’. Get ready your vocal chords to scream out loud and experience arguably the scariest Halloween fest on our shores. 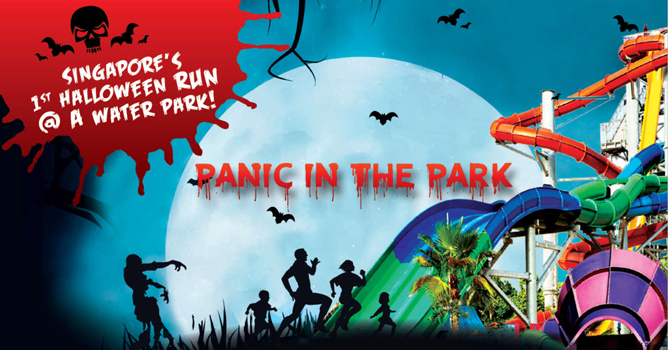 Halloween Horror Nights isn’t the only Halloween-themed event happening at RWS. Just a stone’s throw away from USS at the S.E.A Aquarium, there’s a host of family-friendly activities to celebrate the festive spirit too! Join the adventure as an Underwater Ocean Protector to battle against the Sea Witch via fun games, an underwater show and customisable takeaway tote bags! Make an escape from a vengeful spirit at the most haunted house in the middle of Orchard Road at *SCAPE’s yearly Museum of Horrors event. The horror space will take you through various rooms with different scares, that will guarantee thrills and squeals at every turn. Ticket-holders will also enjoy exclusive deals at *SCAPE and a free movie screening on selected dates But you ought to hurry though – limited redemptions available only! For a scarily fun night out, the folks at Korea Monthly are organising a ‘Bloody Halloween Party’ that will get you pumped up with music, drinks and games all night long. Make sure to put on your most creative costume, as there are prizes for the Best Dresser of the night, and a Photo Zone to take home the memories with you. Normal club rules apply, which means this one’s only for those over 18. For a night to simply wind down and enjoy horror movies together, HomeTeam NS is screening a trio of scary flicks this October. Enjoy an acclaimed Malay horror movie Munafik, before the double trouble bill of The Conjuring and The Conjuring 2. You won’t go hungry either – there’s free-flow popcorn and drinks to compliment your night! This one’s catered more for the kids, but that doesn’t mean you have to be left out of the fun! 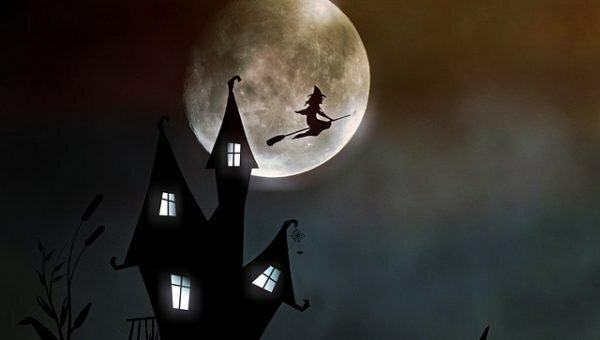 The Halloween Family Night Out is hosting a string of activities over two weekends; from trick-or-treat experiences to treasure hunts around the venue. Registrations come with a super cool funpack too, that includes a cape for the little ones and a vampire popcorn candy bucket that makes a great carry-on for every future Halloween. 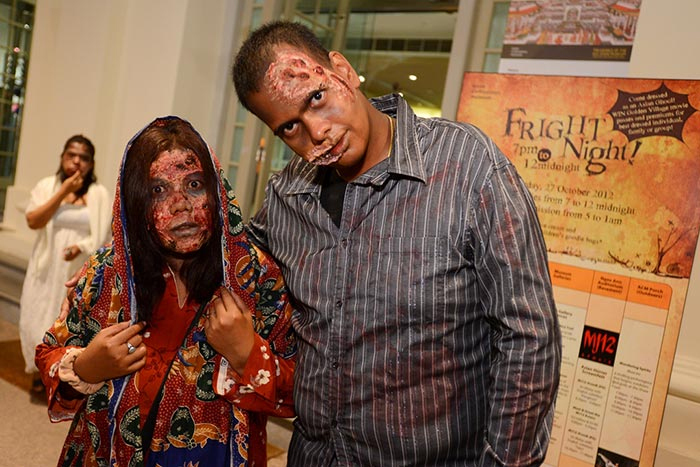 Experience Halloween a different way by heading over to the Asian Civilisations Museum after sundown for their annual affair. From 7 to 11pm, the museum will remain open to spook you with horror tales as you make your way around the galleries, get your photo taken at the Halloween-themed photo booth and customise your own Halloween souvenir to bring home. Best part: it’s free! Expect a night of laughs instead of screams at SAFRA’s Halloween Spirits Night affair at Mount Faber. Rather than haunted houses and horror movie marathons, the event will showcase magic performances and stand-up comedy instead – a fresh take on Halloween! Each ticket also lets you have a tarot card reading, which will undoubtedly be a draw for the unacquainted. Head east for the the Singapore Halloween Festival for a host of ghastly and ghoulish haunting activities. Held over two days, the weekend will see you evading hellish creatures around the vicinity and finding your way out with your friends from a zombie maze challenge, before capping off the festivities with an all-ages dance party. Consider this a pre-Zoukout warm-up. Big Bad Wolf Halloween Music Festival carries on the celebratory Halloween spirit right through till November, with an EDM beach party headlined by Belgian DJ Lost Frequencies. He won’t be helming the decks either – local spinners Rave Republic and Tinc will be joining the supporting lineup among others. To cap it off, the night will be held in a medieval theme, and the best dressed party-goers of the night stand to win prizes. Time to get your costume! Which Halloween event will you be hitting up? Let us know in the comments below! From a coffee academy that empowers youths, to an edible garden that supports the socially disadvantaged – these social enterprises are doing business with a heart. Operating on the mantra of “making the world a Bettr place, one barista at a time”, Bettr Barista Coffee Academy offers vulnuerable youths and marginalised women – from school dropouts to single mums – a shot at a brighter future. Beyond brewing a simple cup of coffee, trainees also go through physical and emotional training to better equip them for life. They don’t have a brick-and-mortar store, but do stop by and drink up that good karma at their cafe concept corner located at *SCAPE. Don’t let the name of fool you; the Ugly Cake Shop whips up beautiful, whimsical bakes that look as good as they taste, such as the Ombre Cake (from $120) which comes adorned with gorgeous layers of pastel hues and floral swirls. These artisanal creations contain none of the artificial flavours and grainy frostings, instead all lovingly handmade using only natural ingredients. What scored them extra brownie points is that while you’re indulging your sweet tooth, you’re also helping to feed undernourished kids in Timor-Leste with every treat you purchase. Win-win! Do good while going green at the Edible Garden City, which champions the movement of growing your own food – Open Farm Community, Open Door Policy and Artichoke Cafe are some of the places they’ve sowed seeds at. What’s more, they also work with the Autism Resource Centre and Down Syndrome Association of Singapore to provide employment opportunities for those with intellectual disabilities at their urban farming collective, Citizen Farm. Although it’s not open to the public, they host regular open houses, guided tours and workshops so feel free to come flex your green thumbs! Don’t dismiss The Company of Cats as just another cat cafe. Apart from giving 10 of their rescued kittens a second home, these good folks also seek to raise awareness for animal welfare in Singapore. Even better, they’ve committed to donating a portion of their profits to Animal Lovers League – so if you’re a cat lover, do your part by hanging out with these adorable furballs at a small fee. They also organise charity bake sales and craft workshops to advocate for the cause, so swing by for some wholesome kitty-lovin’ fun! Not your ordinary eatery, Crossings Cafe takes pride in serving up good ol’ comfort food at pocket-friendly prices – there’s nothing over 20 bucks on the extensive menu, and you get everything from Western delights to Asian cuisine. On top of channeling all their profits to charitable causes, the Catholic cafe also takes in the socially disadvantaged to help them realise their potential. Currently, they are partnering up with Assumption Pathway School to provide work and internship opportunities for students. Touted as Asia’s first ever gourmet food truck with a social vision, Kerbside Gourmet rolls out soul food on wheels – think Bak Chor Mee Hotdog, Aussie Beetroot Burger and Cauliflower Fried Rice. Running on a ‘Buy A Meal, Give A Meal’ basis, the nomadic startup teams up with volunteer welfare organisations to deliver food to needy families with every meal purchased. The catch? It’s always on the move, but chances are you might be able to spot Kerby at the latest carnivals or music festivals. If all else fails, track the truck via their socials! The next time you feel like gorging on junk food, grab some healthy munchies at BoxGreen instead. At just $19.90, this subscription-based platform sends packs of nutritionist-approved treats straight to your doorstep on a weekly, fortnightly or monthly basis; or you can choose to purchase individual bundles at their online shop. More reason to feel good about snacking? For every box delivered, part of their proceeds goes towards providing meals for the less privileged. Giving back to a cause has never been easier! This article was adapted from the October 2017 issue of Teenage.